All the power you need to design & document your electrical control systems including schematic diagrams, terminal plans and PLCs. 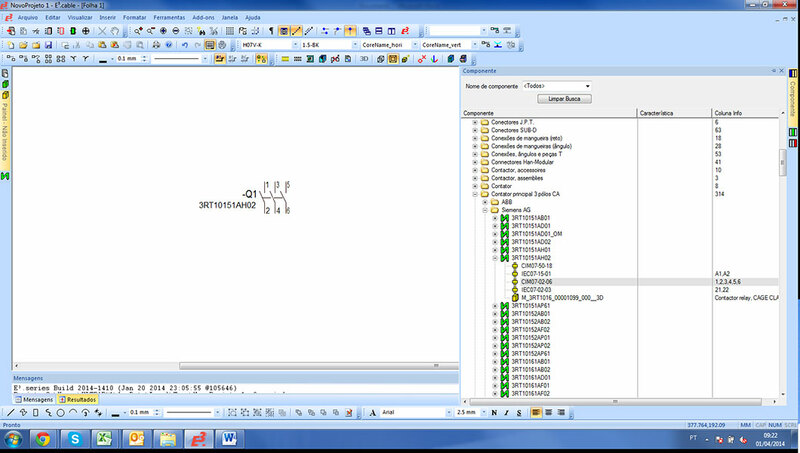 With an object-oriented architecture, E3.schematic gives you an integrated and consistent design approach to help you. 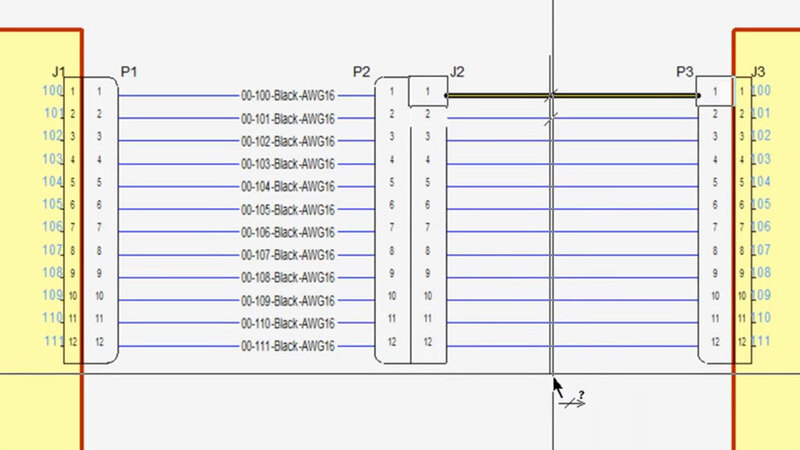 Engineering design rule checks, not mere drawing checks. Reduce rework by using pre-approved electrical/pneumatic/hydraulic library parts. Customize the component library to exactly the ones you and your company need. No more confusion about which components to use. Now you can design with pre-approved parts and make the right choices as you are designing. 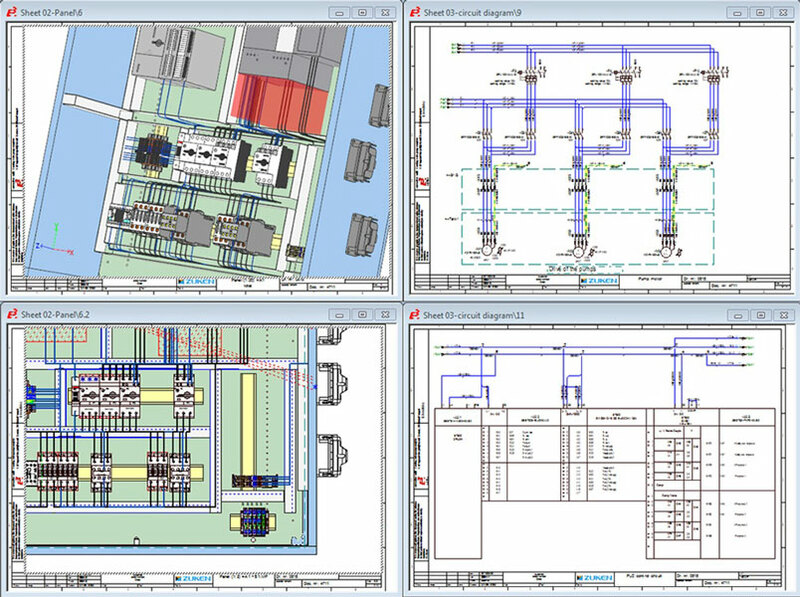 Imagine all the manual drawing, numbering, counting, checking of each component... gone for good... Get your designs done faster with smart tools designed to make your job easier. 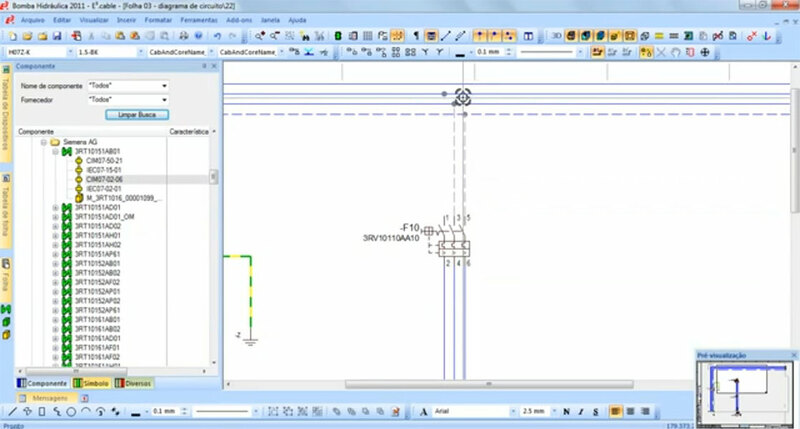 With E3.schematic, you can create your electrical wiring by simply dragging the desired object from the component library on the left and dropping it onto the drawing sheet on the right. Just select the 2 devices you want to connect and E3 will add the wires from one to the other. If you move any of the devices later on, those connections will remain. You can get a sequential, unique reference for each wire to prevent duplication and ensure an accurate design. All you have to do is set the prefix and wire separator depending on the circuit functionality and signal classification, and voilà, numbering is done for you. Subcircuits created in E3.schematic, can be saved in the design library and be reused in any other drawing by simply dragging and dropping them into the new project. IDs of devices, cross-references, etc. are automatically updated to match the new project. 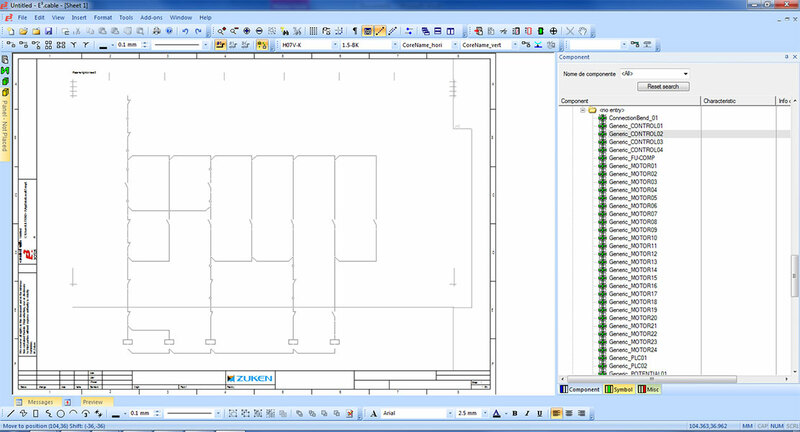 Terminals added to the schematic are combined using an online terminal plan. Changes made in the terminal plan are immediately reflected across the design. 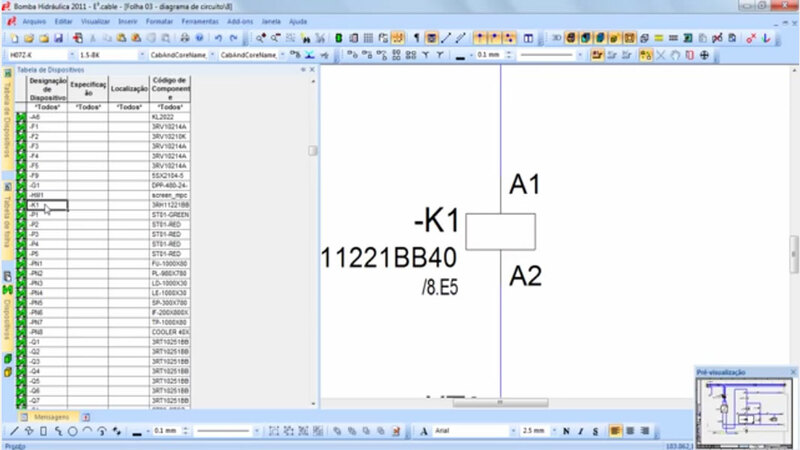 Manage all your terminal strips centrally without navigating through multiple sheets. All terminal types are supported, including multi-stacking terminals. You can view and change any information in the tabular view and automatically update the drawing; no need for manual cross-referencing. 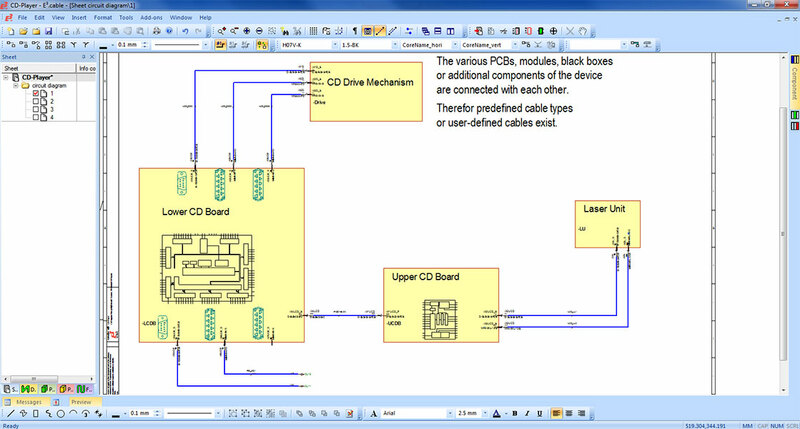 E3.schematic also allows you to save your file in STEP, DXF/DWG, SVG and PDF formats. Available in 30, 80 and 120 sheet versions. Great if you have large projects; no sheet limits, single-user access. If your company requires multi-user access, this is it because it supports concurrent engineering.